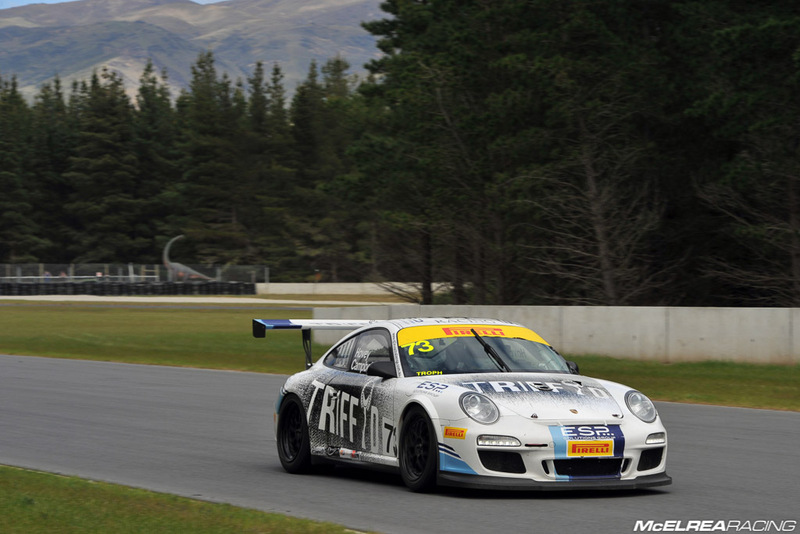 Our recent trip to Highlands Motorsport Park in NZ for Round 6 of the AGT followed by the inaugural ‘Highlands 101’ was the perfect way to finish off a fantastic 2014 season. The fortunate MR crew members that get the opportunity to go to NZ always look forward to this round. The complex is based in Cromwell in the South Island which is a crisp (cold), clean and beautiful part of the world and offers world class facilities with a gorgeous mountain backdrop making it one of the most picturesque settings on the calendar. Two 40 minute Championship races were held on the Saturday completing the season followed by the (101 lap) Highlands 101 held on the Sunday. Simon was joined by V8 DVS regular and NZ local Andre Heimgartner who did a fantastic job over the course of the weekend helping put them on the podium for the final round of the Championship. Race one was cut short after the driver of the Ascari crashed hard and needed assistance to get out of the car. Fortunately he was OK but the race was called after just 13 laps. 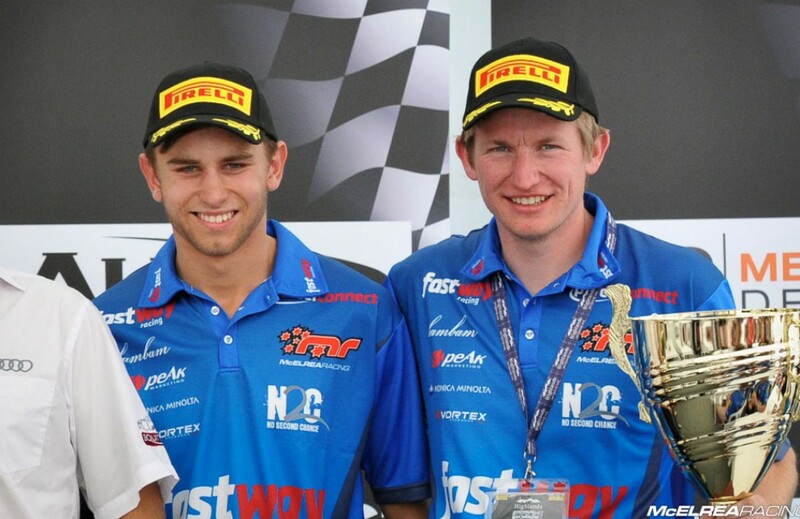 They held position in the second race to again finish in 3rd which meant Simon finished 7th in the Championship. They put in a good solid performance in the 101 and after a couple of slick pit stops by the MR crew and a clean race they finished second in their class. Simon Ellingham was joined by local NZ V8 specialist Andre Heimgartner and they finished 2nd..!! Michael Hovey was once again joined by the very fortunate and fast Matt Campbell who shared the driving duties. They put in a good effort in the two Championship races staying out trouble to finish fifth and fourth placing Hovey 4th in the Championship. A brilliant performance in the 101 and some perfectly executed pit stops and driver changes netted them first in their class in the coveted Highlands 101 endurance race. 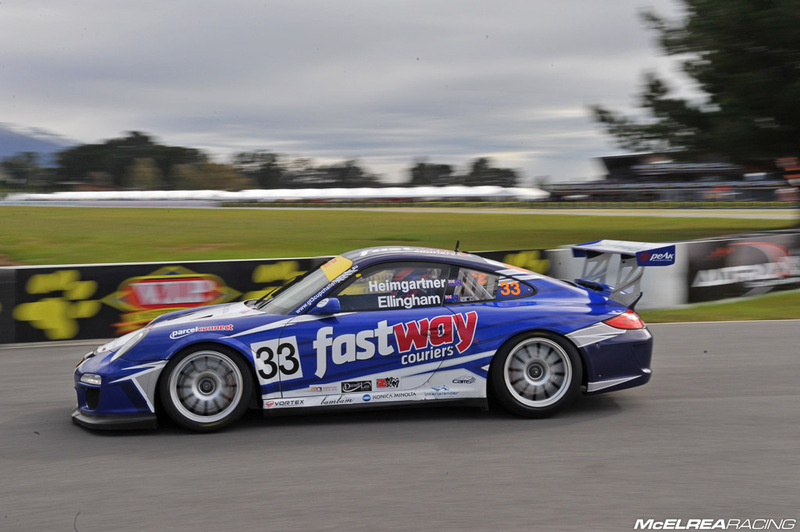 Michael Hovey and Matt Campbell had a ripper race in the Highlands 101 winning their class..!! Without so much as a scratch on any of our cars over the course of the weekend it was the perfect way to end the season and gave the crew a chance to enjoy the local wining and dining scene. That’s not to say we weren’t working hard as we helped get Tony Martin going again in the Ginetta after his little off-road excursion and the boys did the pit stops for Danny Whiting and Andy Knight helping them secure a win in the ‘local drivers’ category. Special thanks to the Australian GT team who once again put together a fantastic series and to all of our drivers for giving it their best and making it worth all the effort. We are really looking forward to next year with some exciting news due soon about our further involvement in the series. Thanks to all of our supporters and partners for following us on our journey in the 2014 Australian GT Championship..! !